Yes, the headline is campy, but there is no denying the battle for supremacy and which side has gained the upper hand. On the very day (April 13th) that Facebook’s Instagram Stories announced over 200 million daily users, shares of rival SnapChat dropped 1.2%. This is a notable dip in the continuing downward drag of SnapChat’s stock since the company’s historic IPO on March 1st. And the recent announcement of “Snap to Store, which mimics Facebook’s location based ad-targeting capabilities to increase retail sales, likely won’t slow Instragram’s user and ad revenue light speed. As noted here a few days after the IPO, Facebook had already fired lasers into SnapChat’s mothership. Advertisers have seen their SnapChat marketing ROI slump due to poor targeting, unreliable performance measurement and a decrease in both user engagement and open rates. The recent launch of Messenger Day, seen by some as a SnapChat Stories clone, has already snagged over one billion users for Facebook. Combining that with Instagram’s 300 million daily active users, Snapchat has a big challenge in building on both its projected 2017 seventy million user market share and $900 million revenue increase. But what make this far most intriguing is when and how it began…which was not a long time ago in a galaxy far away. No, this digital media clash began in December of 2012 with Mark Zuckerberg inviting SnapChat CEO Evan Spiegel to Facebook’s Silicon Valley headquarters to get to know one another. Zuckerberg had swallowed up Instagram 9 months earlier for $1 billion and had been mocked from all corners of the internet galaxy. Ever the star rebel, Spiegel said that the media giant overlord would have to fly to his hometown in sunny LA. Spiegel and Murphy immediately returned to their office and ordered a book for each of their six employees: Sun Tzu’s The Art of War*. 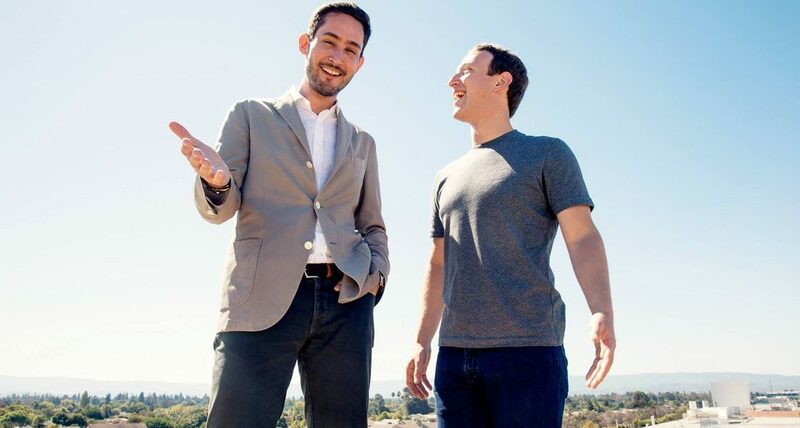 In what would soon after be Spiegels rejection of a whopping $3 billion offer, Zuckerberg launched an all-out aggressive strategy in the photo-sharing space and it’s been nothing but victories for him ever since. Now it seems that order in the digital galaxy will not be restored by balance in the force. * Note: As pointed out poignantly across the digital galaxy including here: Yoda, the wise old Jedi Master introduced in the first Star Wars trilogy, is partly modeled after a Chinese philosopher named Lao Tzu from 2,500 years ago. Lao Tzu is a contemporary of Sun Tzu, and his philosophies, recorded in the Chinese Tao Te Ching (Way of Life), form a cornerstone of Sun Tzu’s Art of War. The influence of both Lao Tzu’s and Sun Tzu’s philosophies on George Lucas’ descriptions of the Jedi Warrior philosophies is deliberate. For example, George Lucas’ invention of “the Force” borrows directly from the Tao Te Ching’s concept of “the Way.” Both Lao Tzu and Sun Tzu discuss “The Way” in their text as a force that connects all life and represents the how things are. This sentence could logically appear in any of the Star Wars movies, The Tao Te Ching, or The Art of War. It seems that Commander Speigel should have also included Yoda’s wisdom on that Sun Tzu book order.